Welcome to this week's My Week In Words. Another week full of binge watching, procrastination and ice hockey. Another month has almost been and gone. This week covers from Monday 25th to Saturday 30th of January. Enjoy! I woke up in a lot of pain early on Sunday morning. I guess my hip really didn't appreciate being out on Friday and Saturday night. I asked my mum to set up her back massager on my thigh and was able to get back to sleep for a few hours. I don't know where I would be without that little machine. I woke up a while later for my Sunday morning fry up. Eva was off, so we ate and then we chilled together watching YouTube videos. 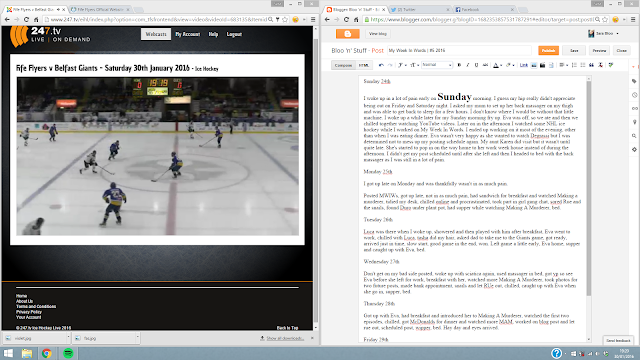 Later on in the afternoon I watched some NHL ice hockey while I worked on My Week In Words. I ended up working on it most of the evening, other than when I was eating dinner. Eva wasn't very happy as she wanted to watch Degrassi but I was determined not to mess up my posting schedule again. My aunt Karen did visit but it wasn't until quite late. She's started to pop in on the way home to her work week house instead of during the afternoon. I didn't get my post scheduled until after she left and then I headed to bed with the back massager as I was still in a lot of pain. I got up late on Monday and, thankfully, wasn't in as much pain. My mum had been into town and bought everything needed for my favourite sandwich - coleslaw, ham, pasta salad and salad in a roll - so I got up and she fixed me one for brunch. 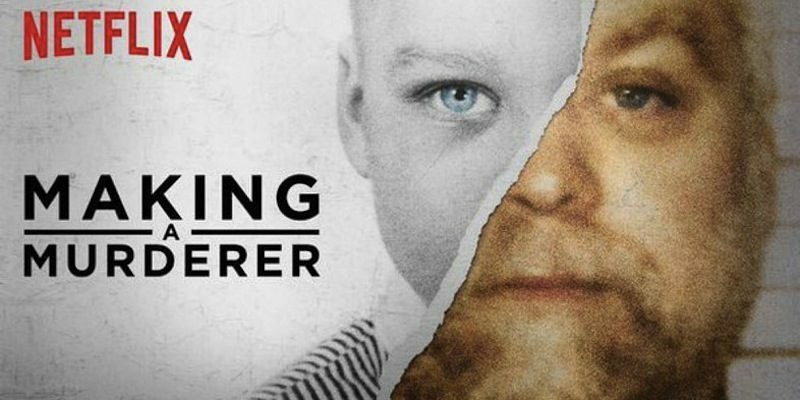 I decided to check out Making A Murderer on Netflix as I'd seen so many people recommend it. I was pretty hooked by the first episode. I enjoy watching crime documentaries a lot but Making A Murderer isn't your average crime documentary. It left me feeling a melting pot of emotions. I watched the first two episodes and then had to take a break. 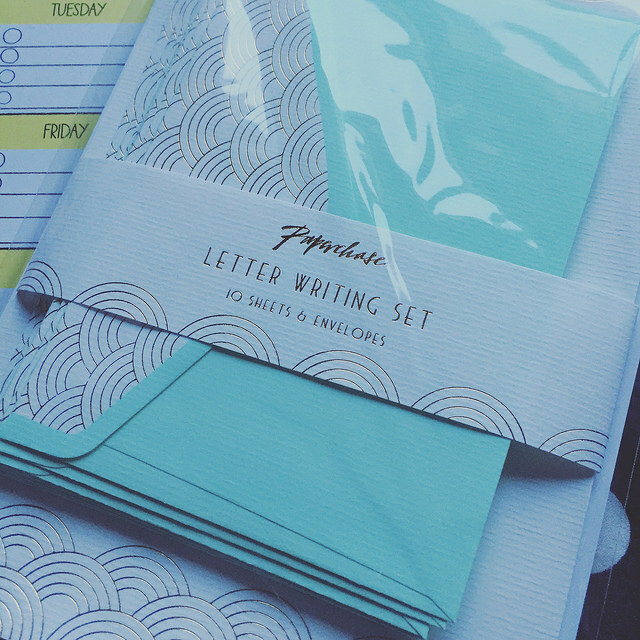 I had made an order with Paperchase the week before and it arrived on Monday. I got a weekly goals pad for my desk and a writing set for when I write to my pen pal, something I'm long overdue doing. I'll have to rectify that this week. 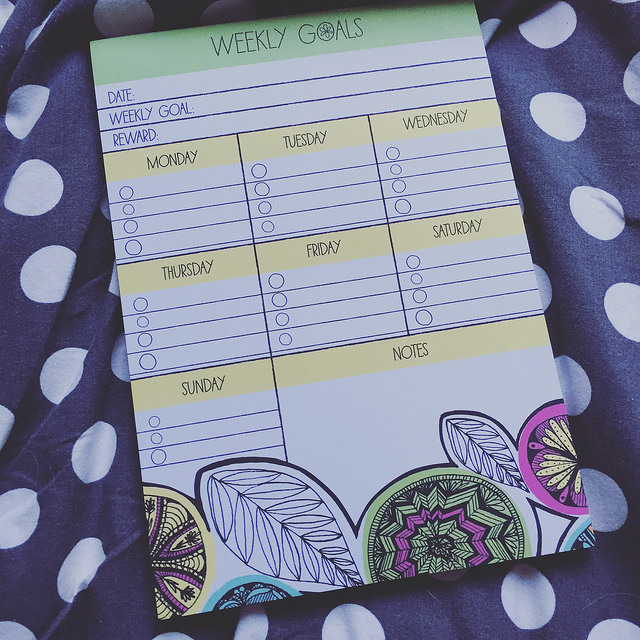 I feel like I get a lot more done if I have a to do list and I liked the idea of being able to have the week set out before me. They had a different pad that I liked before but I put off buying it and by the time I went back they no longer had it in stock. The original one I wanted had more space for each day but I'm actually finding they four goals a day is enough anyway. I tidied my desk a little and moved into my room with my laptop. I chilled online and procrastinated for a while. If you want to procrastinate but feel productive at the same time I really recommend taking part in the Twitter blog chats. 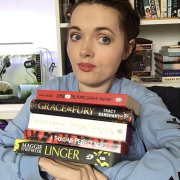 On Monday I took part in the Girl Gang chat. 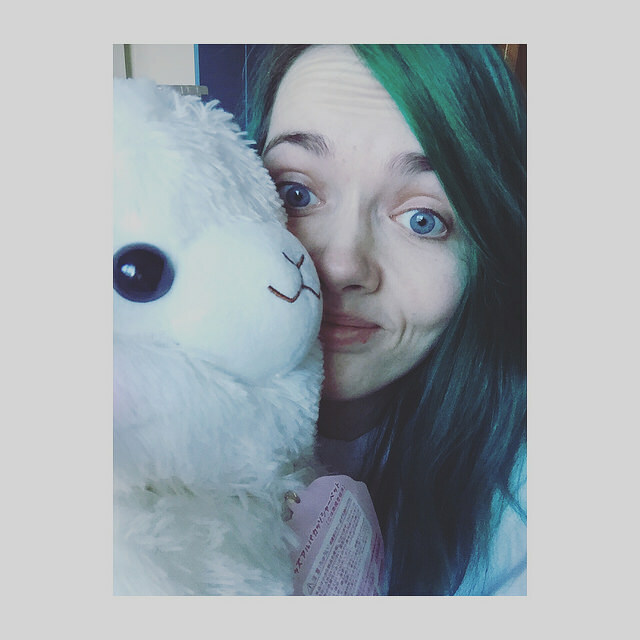 It's a lot of fun and you should really check out the little community by clicking the button in my sidebar. I'm sure you won't regret it. Once the chat was over I let Rue out for a run around in her ball and fed her before feeding the snails and doing an egg check. I had a bit of a scare after I found Duro under a plant pot in their tank that had somehow upturned. I was worried that he'd gotten stuck and the heat would have perhaps become too much for him. Thankfully he was unharmed. He was having quite a time of it as I almost dropped him a few days before. 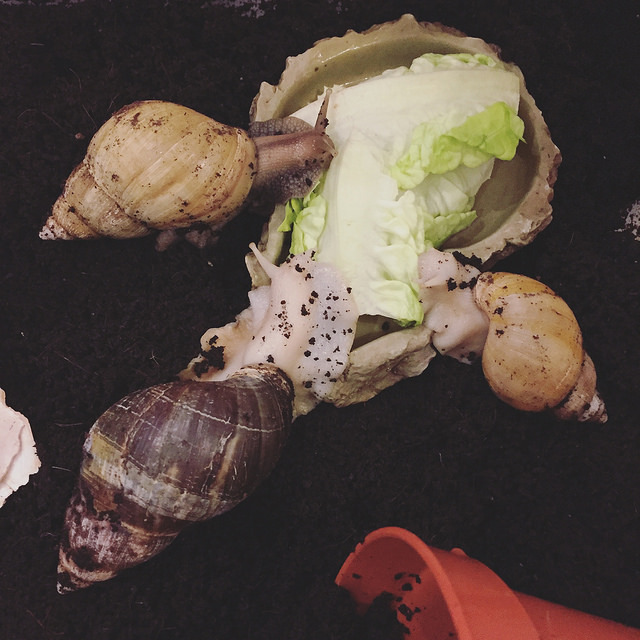 Once the snails were sorted and I'd put Rue away I had supper and watched Making A Murderer while I ate. I then headed to bed. Last week's edition of My Week In Words was also posted on Monday. You can check it out here if you missed it. 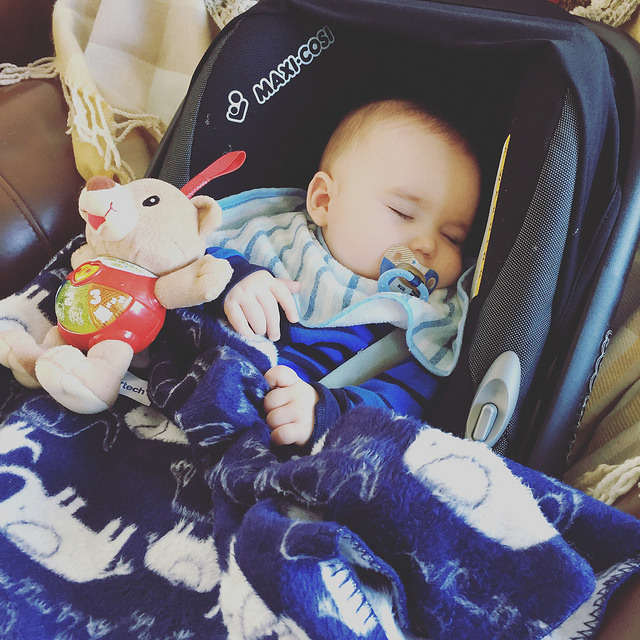 My mum was babysitting Luca as usual on Tuesday, and he'd long arrived by the time I woke up. I got a shower and then had breakfast with Eva. We'd made an order with Tofu Cute which arrived on Tuesday so Eva opened it after we finished our breakfast. The items seen on top are actually what Eva ordered. 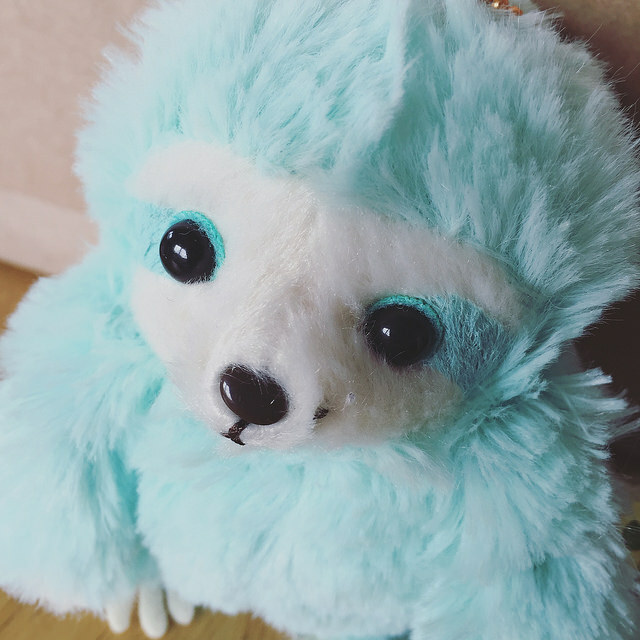 My adorable Amuse sloth plush. Once I'd checked out my goodies and Eva left for work, I played with Luca for a while. I know I say it every time but he really does get bigger every week. He interacts with me more and I feel like he's growing to like me. I hope. Edwin has gotten over his initial fear of the furless puppy and is now pretty intrigued by him. I'm sure it helps that he probably tastes like food and brings toys with him. Though Edwin is bewildered that for some reason he's not allowed to share Luca's toys. After playing for a little while it was time for Luca's nap. I stayed in the living room and watched some television with my mum until Tasha, Luca's mum, came. As well as my cousin she is also my wonderful hairdresser and a hair cut was long overdue. I mean, my hair was to the point it was getting stuck down my trousers. Eva had a real concern that it would get stuck in my wheels! She took a few inches off it. It feels so much nicer and healthier... and you know, much less of a health and safety risk. Tasha ended up staying for quite a while and having a bit of a catch up with my mum. She'd also brought her middle son, Maxi, with her after picking him up from school. We used to mind him once a week like we do with Luca. It's hard to believe how much he's grown up. 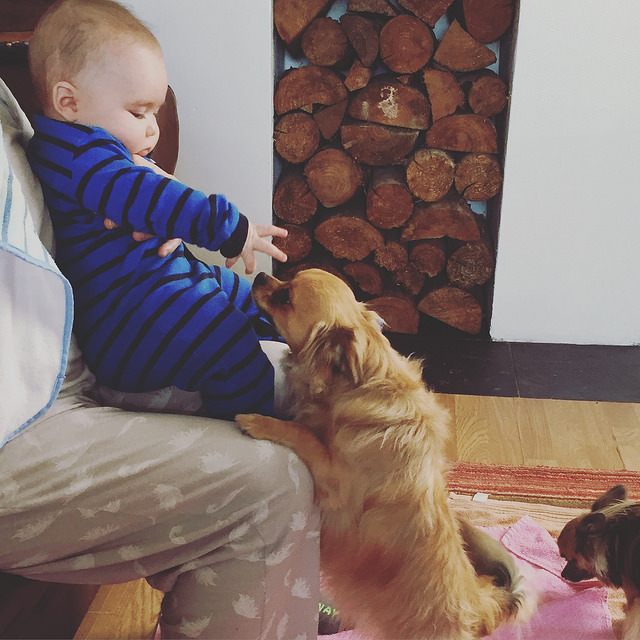 Maxi playing with Luca after he woke up. 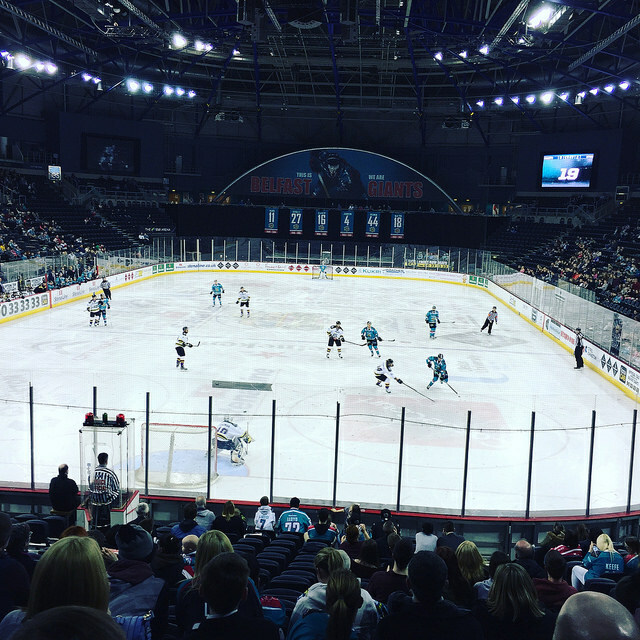 Tuesday was a Belfast Giants game day. Yeah, a little odd having a midweek game. It wasn't a league match but a Challenge Cup game. I almost wasn't going to go as my Eva was working, my aunt Karen couldn't take me and it would mean my dad taking me after work. Plus, I'd been so sore with my sciatica and arthritis. However, I ended up asking my dad if he minded taking me after work. I told him I didn't mind if he was too tired but he said he didn't mind. Once Tasha left I started to get ready and we left around 6:30pm, just getting to the arena on time for face off. The game got off to a slow start and I was worried that it would feel like a wasted trip. I needn't have worried as the game soon picked up and was a good watch. We came away with a good win and being out in front meant my dad and I could leave a little early and not worry about missing much. We were first in the lift and soon on our way home. We were just on time to pick Eva up from work but she'd ordered a taxi so we went on home. Dad was making me supper when I got a phone call from Eva to say the taxi had left without her, so my dad ended up picking her up. Over supper I caught up with Eva and told her all about the game and then headed to bed. On Wednesday my Midweek Misc post, PSA: Don't get on my bad side! was posted. You can check it out here if you missed it. I woke up with bad sciatica again and had to employ the trusty back massager again. After using it for a while I got up to see Eva before she left for work. She was working from 1:30pm to 10pm this week. I ate breakfast with her and watched YouTube videos and then watched more Making A Murderer. After watching an episode I decided to be somewhat productive and took photos for future blog posts. Snapped this selfie while taking blog photos. Once I finished up taking the photos I bit the bullet and made an appointment at the bank for Eva and I. We want to get a joint account for when we live together. 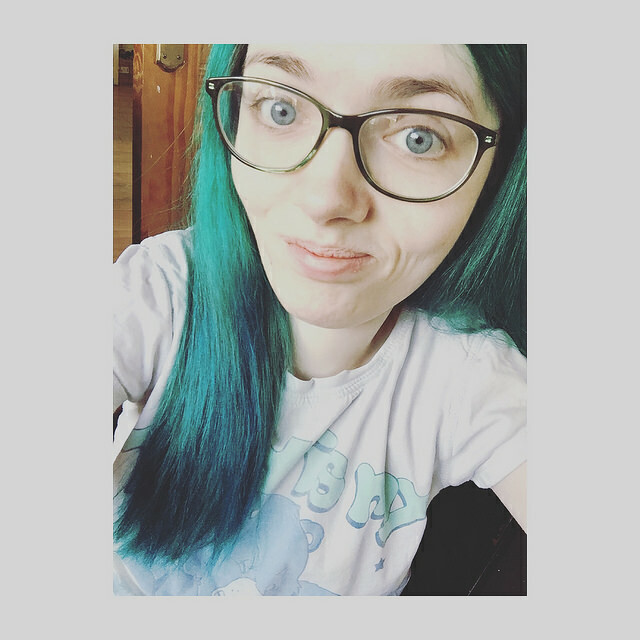 I was hoping my mum would make the appointment for me as I get really anxious about phoning places and such but in the end I did it and I felt great afterwards. A little later in the evening I let Rue out in her ball while I cleaned up the snail tank. Violet and Agron racing to the top of the tank! There's four months between them but Violet is growing so slow. Her sister is a lot bigger than her. Though aside from being small she's otherwise in great health and condition. She's probably got the most perfect shell out of the three of them and Agron has the worst, despite being the biggest. Duro is just over a month younger than Agron and still quite a bit smaller. I just find it so interesting how different they are, even from their clutch mates. But I digress! Once I finished up with my babies I chilled for a bit until Eva came in from work then had a bit of a catch up with her over supper before heading to bed. I got up with Eva on Thursday and during breakfast I introduced her to Making A Murderer. I just needed someone to chat about it with. That's the reason I introduce her to most of the shows I watch. We watched the first two episodes and then Eva tidied up the house a bit before our parents got home from work. I probably should have done something productive too but I just chilled and browsed online. Our parents brought us McDonalds home for dinner and we watched more of Making A Murderer while we ate. In the evening I worked on my post for Friday once I let Rue out. I got it scheduled and put Rue back in her cage before supper. Then I went to bed. I also started playing Hay Day again on Thursday. I forgot how addictive that game can be! I also got some mail. Eyes for two of my dolls arrived. Brown ones for the doll that featured in last week's My Week In Words and light purple eyes for my resin doll. I'm yet to try the brown ones. I hope she looks a lot better with them than the eyes she came with. Still yet to do her make up. That's next on the agenda. 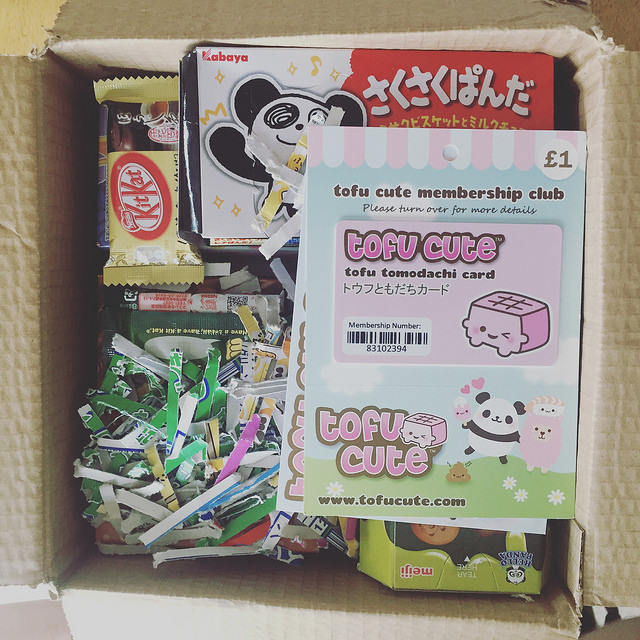 I posted my Tofu Cute haul post on Friday. You can check it out here if you missed it. Eva got me up before she went to work as my mum had left earlier. We had breakfast together and watched two episodes of Degrassi. It felt like it had been ages since we'd watched it, it felt good getting a fix. Just before Eva left for work I got a phone call from my aunt to say that my granda had taken ill and had gone to hospital in an ambulance. She was trying to get in touch with my dad but couldn't, so she wanted me to keep trying to call him so I could tell him to call her. 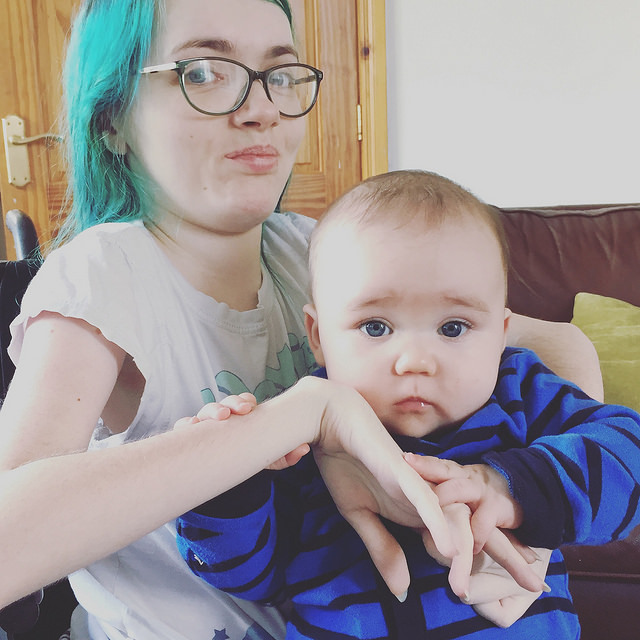 She's a teacher and had left work early so she could make sure granda was okay. I eventually got in contact with my dad and he left work too and was coming to check on me before he went to the hospital to be with my granda. My aunt hadn't had her lunch and usually my dad fixes mine but my aunt offered to fix me lunch so dad could get away quicker. It took her about forty five minutes to get to me as she had to pick up her dogs first. We ended up having lunch together and chatting for a couple of hours. There was no real rush for her to get to the hospital because my dad was with my granda. 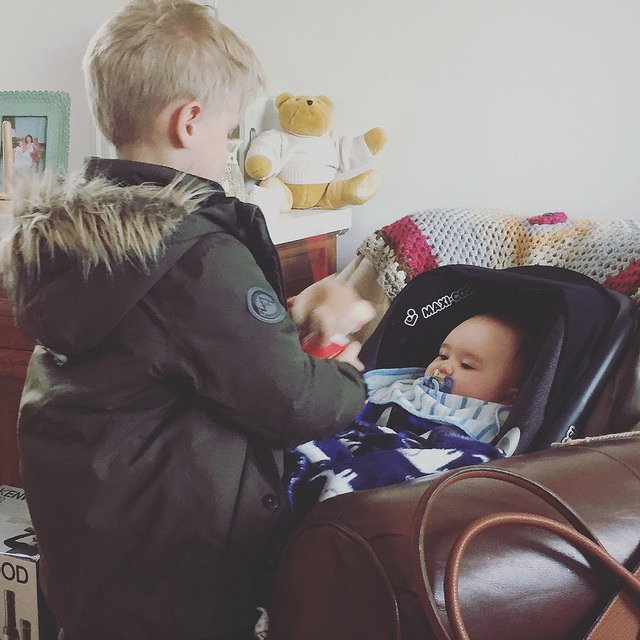 Once we finished up lunch she was heading to her weekend house to leave her dogs there before going to my grandparent's house to pack a bag for my granda to take to the hospital. She left around 4pm. Dad had been giving us updates on my granda and it seemed he'd came around a little bit. This has been an ongoing thing so we're hoping this time they'll keep him in until he's closer to 100% better. Once my aunt left I mostly chilled and procrastinated but I did get a little bit of blog work done. I even picked a topic for next week's Midweek Misc post and made a start on it. I ended up by myself for quite a while. My parents didn't get home until around 8pm. By the time they did I wasn't in such a great mood. I was in a lot of pain and I really wanted/needed a shower to soothe my aches. I was convinced that they'd both be too tired to help me. After dropping a few hints my mum offered, so that made me feel better. I eventually got in the shower at around 9:30pm and by the time I got out Eva was home. I chilled with her and watched YouTube videos until almost 1:30am. I don't know where the time went to be honest. She ended up helping me to bed. I got up around lunch time for my fry up on Saturday. I was supposed to be going into Belfast to do some shopping with Eva and her friend but the weather was awful. It wasn't even that it was particularly wet but it was super windy and freezing. 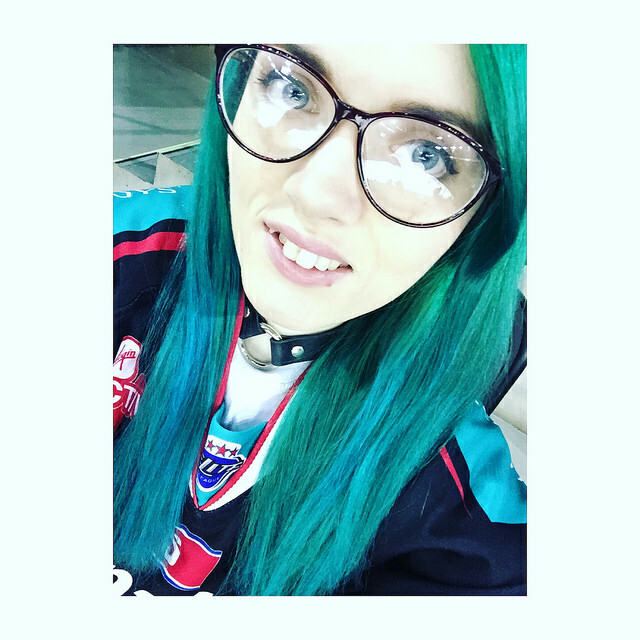 I decided not to go - after both of my parents saying I shouldn't - because I'd gotten up late so I'd have been in a bit of a rush, plus I was going to be out on Sunday as it was a Belfast Giants game day. After brunch I chilled for a while, chatting online and watching YouTube videos. Eventually I knuckled down and started work on My Week In Words. I usually do the bulk of it on a Sunday, but as I was going to an ice hockey game I wanted to try and get most of it done on Saturday. After shopping all day Eva was going out in the evening so I decieed to buy the webcast for the Giants game in Fife. I multitasked while watching the game, continuing to work on My Week In Words. 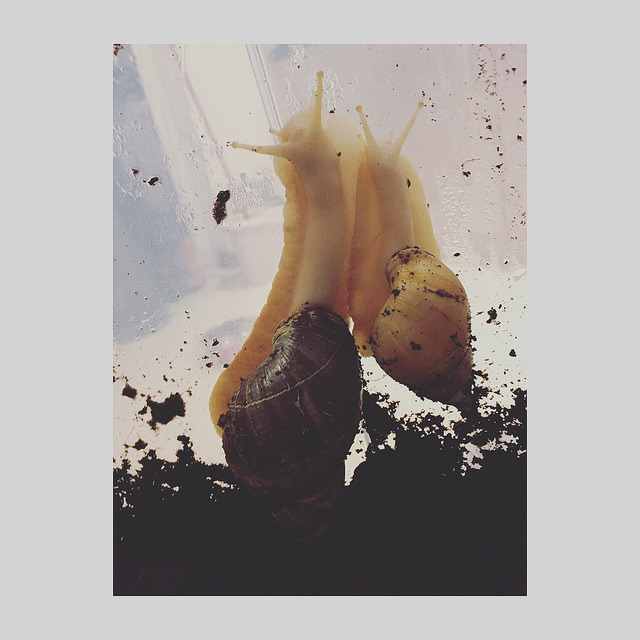 During the first break in the game I attempted to bath and feed my snails. I didn't get finished up with that until the second break. The game itself was an okay watch. It wasn't boring but... we didn't win. Too many penalties screwed us over. Once the game was over I caught up on some highlights from NHL games I'd missed while I continued to work on My Week In Words. Eventually I'd written up to the end of Friday and figured I could finish it off after the game on Sunday. I had dinner late and then headed to bed. Eva came in in the early hours of the morning. I was still reading on my Kindle. She was super drunk and ended up climbing in beside me for a while. When she left my room I heard her having a full on conversation with Effy about what she should do at college. Effy is a cat. She then proceeded to whisper 'Sara, I'm coming for you' through the crack in my door. Drunk people, eh? Eventually she went to bed and I thought I could settle down for the night, until Edwin decided he wanted to sleep in his crate. I leave the side down of my bed and he has a set of steps, so it shouldn't have been a big deal. Only there was a pair of my dad's trousers that had fallen on to the floor beside his cage door and apparently they were super intimating. He ended up barking at them for about twenty five minutes until I called Mum to move them. By this time it was almost 4am. Edwin settled down and I could finally go to sleep.